Today’s GAMEDAY @BigHunkBar Awards at #TSLShowcase Miami were DB/S Rush Imhotep, LB La’Kel Bass, DB Glenn Harris, WR Curtis Anderson, and K Alex Knight! Imhotep is an Ivy League graduate and former team captain for the Cornell Big Red. In 42 games with the Big Red, he recorded 171 tackles, 15 pass break ups, 3 forced fumbled, 3 fumble recoveries and 3 interceptions. 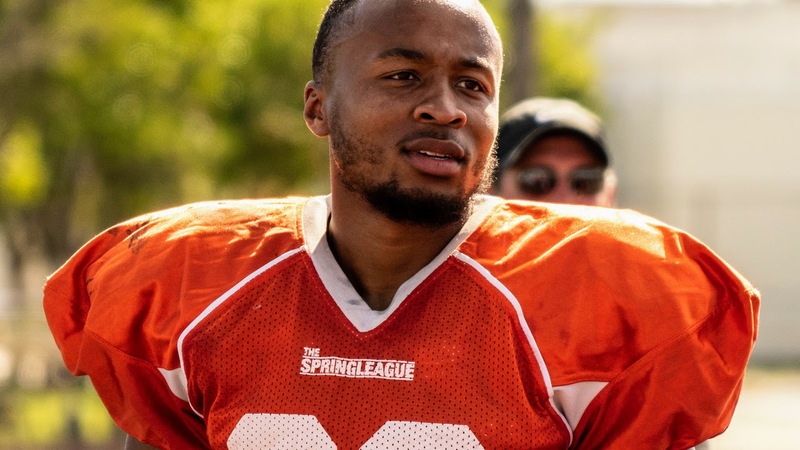 After playing Arena ball in 2018, Imhotep joined The Spring League Showcase to make a run at the NFL, where his cousin Jerome Bettis enjoyed a Hall of Fame career.